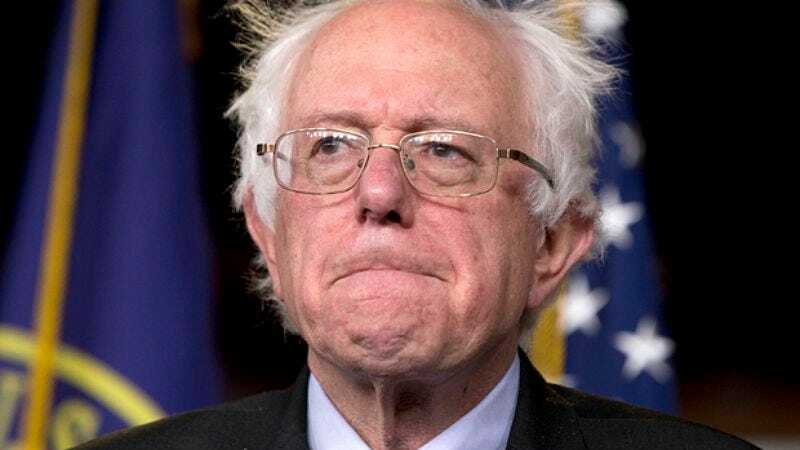 The befuddled Sanders—who ended up not finishing his speech—struck a chord with someone over at Death And Taxes who edited the clip to include the theme from HBO’s Curb Your Enthusiasm. The frustrated older white guy walking to side of the stage as the music plays is perfect; you can practically hear Sanders whining about something inconsequential. The only thing missing is the HBO Original Programming logo at the end.